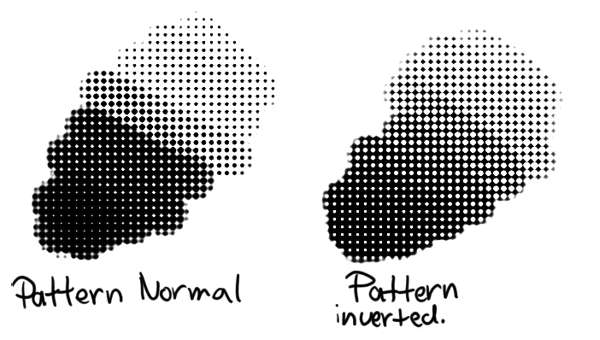 Which pattern you’ll be using. 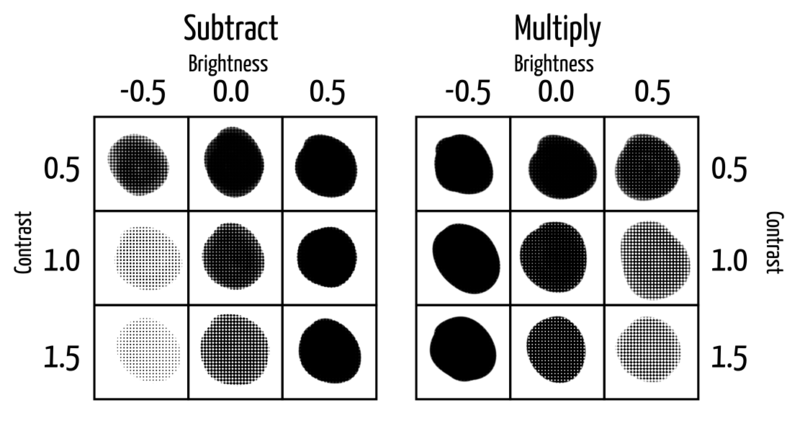 Uses alpha multiplication to determine the effect of the texture. Has a soft feel. 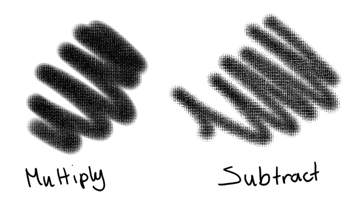 Uses subtraction to determine the effect of the texture. Has a harsher, more texture feel. 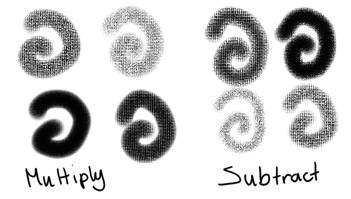 Cutoff policy will determine what range and where the strength will affect the textured outcome. doesn’t cut off. Full range will be used. 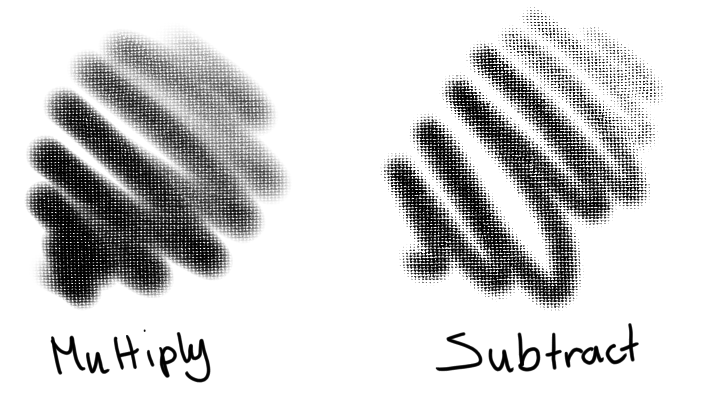 Cutoff is… the grayscale range that you can limit the texture to. This also affects the limit takes by the strength. In the below example, we move from the right arrow moved close to the left one, resulting in only the darkest values being drawn. 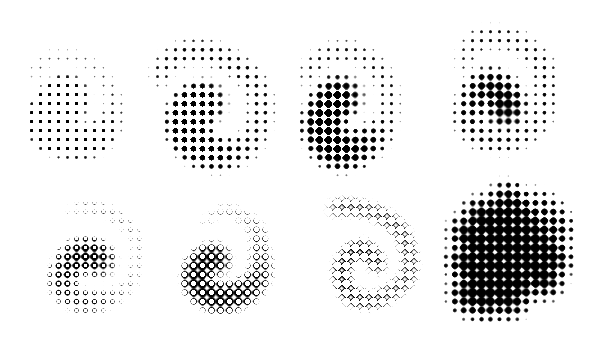 After that, three images with larger range, and underneath that, three ranges with the left arrow moved, result in the darkest values being cut away, leaving only the lightest. The last example is the pattern without cutoff.